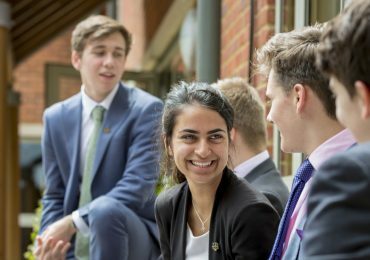 As a highly successful School, entrance to Caterham is by selection based on academic merit and on an assessment of each child’s likely positive contribution to the School. A vital part of the admissions process is getting to know each child as an individual. We are always pleased to meet families who are considering our School. For details of open days and visitor mornings please click here. Pupils wishing to join Caterham School must submit their application by early November of Year 6 (see below for admissions dates for September 2020). 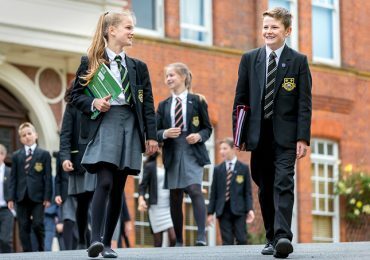 Prospective pupils are interviewed in the November prior to the year of entry which enables us to get to know each child as an individual. Candidates will be contacted with a date and time after the closing date for applications – please note the dates below. Candidates will then attend our 11+ entrance day during which they will get to know our staff, take part in some fun activities and sit our 11+ entrance exam which consists of English, Mathematics, Verbal Reasoning and Non-Verbal Reasoning. The 11+ day takes place in the January of Year 6. All papers are designed to bring out the skills and potential of the candidates, whatever they may have covered in the past. 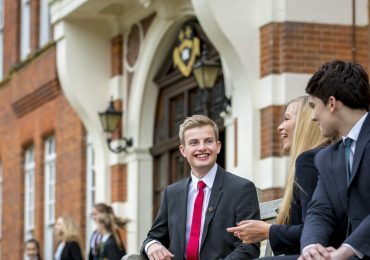 The exams take place at Caterham School in a normal classroom environment with a teacher and Sixth Form pupils remaining with the candidates, who are in small groups, throughout the day. During the examination day pupils will have the opportunity to take part in a fun activity, lunch and plenty of breaks. As part of the application process, a reference will be sought from the prospective pupil’s current school. Applications for 11+, 13+ and 16+ may be considered after the closing date but will be subject to an increased application fee of £200. Approximately a third of our parents benefit from reduced fees, either through scholarships or bursaries. Please click below to find out more about Scholarships and Bursaries.